Lauren Dilbeck joined HelmsBriscoe as Manager, Global Accounts in 2017. Based out of Flintstone, Georgia, Lauren has more than 13 years of experience in corporate sales, marketing and contract negotiations. She is a passionate, hardworking individual who is driven by her customers’ successes. 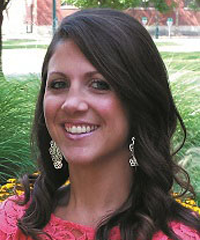 Lauren earned a Bachelor’s degree in Service Management from the University of Tennessee. Prior to joining HelmsBriscoe, she worked as a Senior Sales Manager for a hotel property group, where she was a consistent top-producer and earned multiple annual awards. Lauren credits her awards and recognition to her great customer relationships. Ensuring the success of her clients is paramount to Lauren, and she looks forward to using her extensive industry knowledge to assist with your next meeting!